The world is connected in ways that it has never been before. Technology allows data to travel at lightning speeds, crossing the globe in mere seconds. It is hard to fathom, but high- speed connections that are 100 times faster than what is currently available are in the near future. With this type of innovation, the importance of being physically located near your data center has diminished, and it is now possible to experience exceptional service from a data center located any place in the world. Despite this fact, many businesses and individuals, who are jokingly referred to as “server huggers”, feel more secure if their data center is within close proximity. These feelings stem from the thought that if there is a major problem, they can dispatch a team to the data center to fix the problems as quickly as possible. As technology and connection speeds continue to improve, many are letting go of these outdated ideas, and are beginning to realize that data center proximity is of very little importance. Full Remote Access - Being physically removed from your data center does not mean that you cannot easily access your data. Clients are offered full remote access, protected with a user name and password, giving them the ability the access their data from anywhere in the world with an Internet connection. 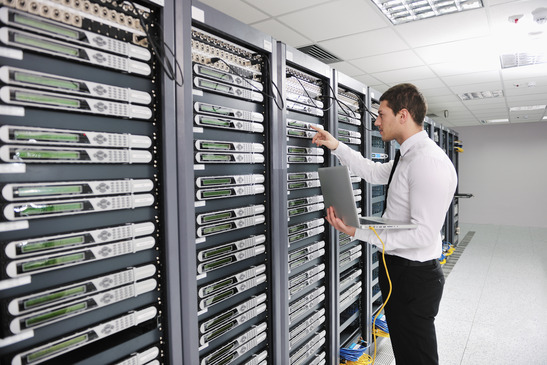 Data centers have expert support on-site - When a business focuses on finding a data center that is close to them, it is usually because they are worried by the threat of downtime. They believe that in the case of an emergency they would be able to have their IT team visit the data center and quickly rectify the problem. In reality, a good provider employs their own team of experts, who are on-call 24/7 to quickly resolve any negative situations. In addition to the data center management team, EndLayer’s team of dedicated engineers monitors all of our cloud hosting environments 24/7/365. Reduced latency – With today’s connection speeds and fiber infrastructure, the latency is almost so small that it goes unnoticed by the vast majority of users. Future advancements in connection speeds and fiber infrastructure will further reduce latency.